The term is a compound word consisting of a Greek root and a French suffix, also of Greek origin. The ancient Greek word θέρμη, or therme, means heat, and θερμός (thermos) means hot, glowing, or boiling. The second part of the word, meter, comes from the French -mètre (which has its roots in the post-classical Latin: -meter, -metrum and the ancient Greek, -μέτρον, or metron, which means to measure something, such as a length, weight, or width). Though time seems to have forgotten him, Leurechon was a fascinating figure in the history of science and mathematics. His great claim to fame is that his book was a progenitor to today’s popular “crossword puzzle, jumble, and brain-teaser” books—only, his puzzles required an advanced knowledge of algebra, geometry, and even physics. He also included in his book several mechanical, hydrostatics, and optics puzzles, many of which he “borrowed” from the works of the French mathematician and Jesuit, Claude-Gaspar Bachet de Méziriac, among others. Long before van Etten invented the word, a number of scientists had already developed several types of thermometer-like instruments using different substances and glass tubes to measure the ambient temperature. For instance, Galileo Galilei worked on a water-based thermometer some time around 1595. Duke Ferdinand II of Tuscany introduced an alcohol-based thermometer in the mid-17th century. 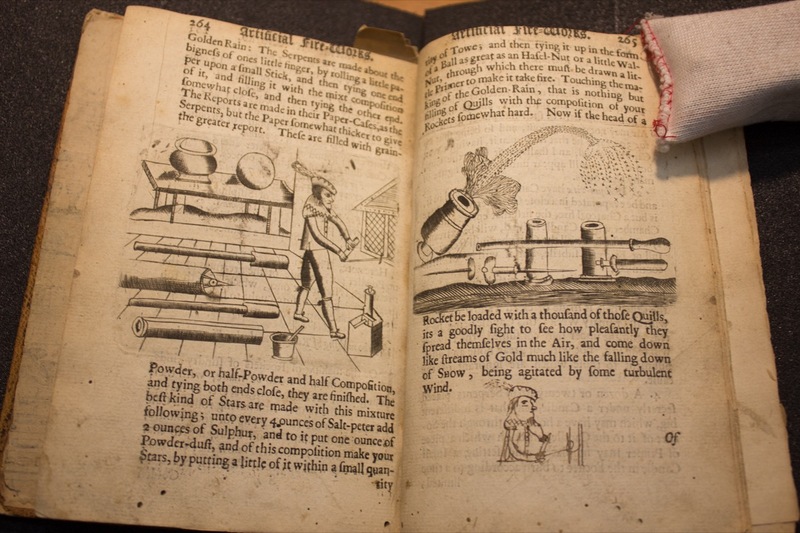 The great physicist Sir Isaac Newton experimented with a linseed oil thermometer in the early 1700s. None of these instruments featured a reliably reproducible system of temperature measurement, however, until after 1714, when Daniel Gabriel Fahrenheit, a German physicist, glassblower, and engineer living in the Dutch Republic announced that he had invented a mercury-based thermometer. More important, in 1724, he proposed his famous scale—which we use in the United States to this very day. Following Fahrenheit’s lead, in 1742 the astronomer Anders Celsius of Uppsala, Sweden, introduced his own scale, which entailed fixed constants. In other words, he proposed an absolute zero, which is what he called the boiling point, and a freezing point, which he set at 100 degrees. These two points were reversed in 1745 at the suggestion of Carl Linnaeus, which is how the scale remains today. Celsius’s colleagues at the Uppsala Observatory took to calling his invention “the Swedish thermometer,” but Celsius preferred “centigrade,” which is Latin for “one-hundred steps.” Others began to refer to it as the Celsius thermometer sometime around 1800. In the late 1860s, doctors started using thermometers to measure body temperature, especially in patients with fevers brought on by infectious (and other) diseases. Over the past 70 or more years, thanks to the mass manufacture of reliable, cheap Fahrenheit- or Celsius-based rectal and oral thermometers, the devices have become a ubiquitous household tool favored by many a worried parent of sick and febrile children. Today, the thermometer is the iconic tool for the simple act of “taking the temperature.” But it’s a story that has developed by many degrees. 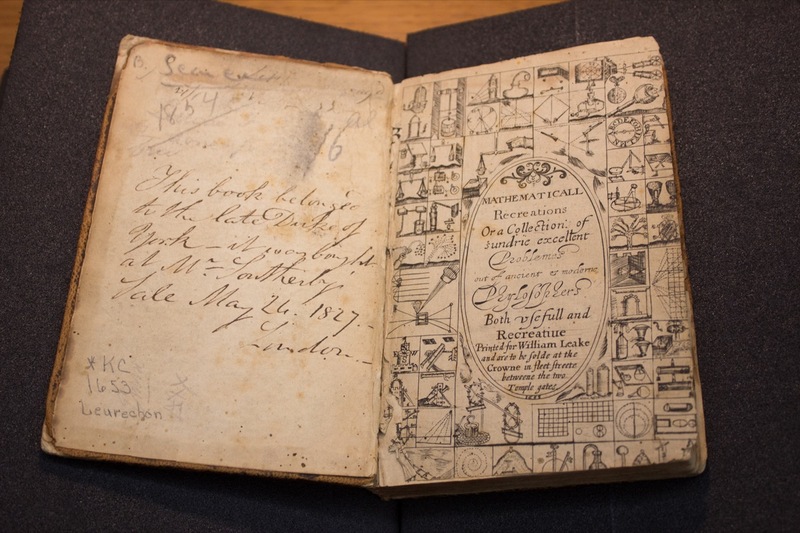 Science Friday’s digital producers Johanna Mayer and Daniel Peterschmidt recently took a trip to the Rare Book Division at the Stephen A. Schwarzman branch of the New York Public Library to see for ourselves a 1674 edition of Recreational Mathematics. See the book below. 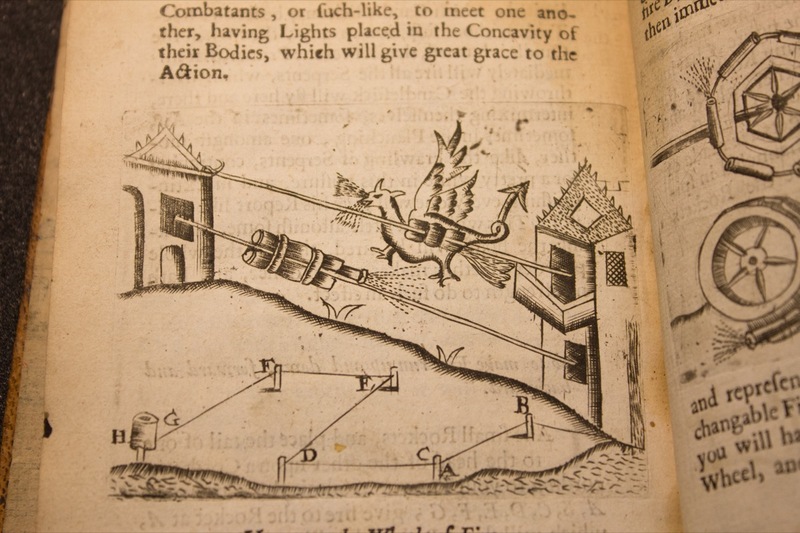 From a section titled “How to make fire run up and down, forward and backward.” Photo by Daniel Peterschmidt, courtesy of the NYPL Rare Book Division. 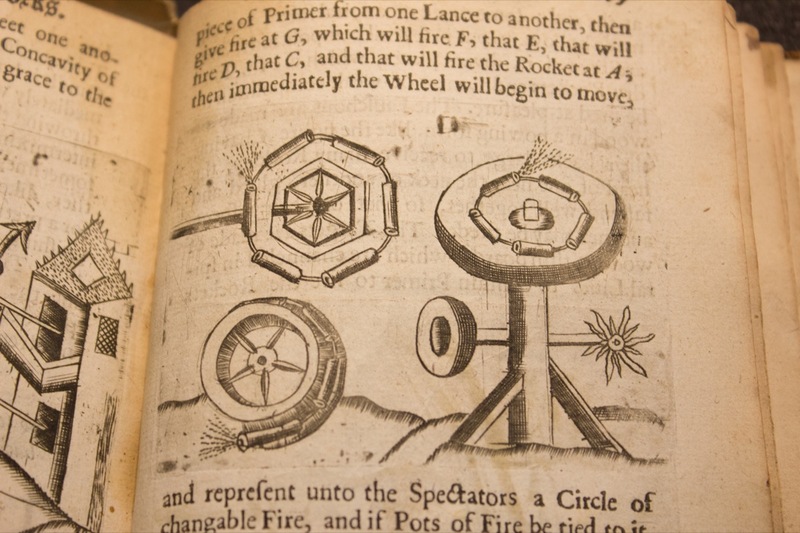 An etching describing how to create a spinning “wheel of fire.” Photo by Daniel Peterschmidt, courtesy of the NYPL Rare Book Division. 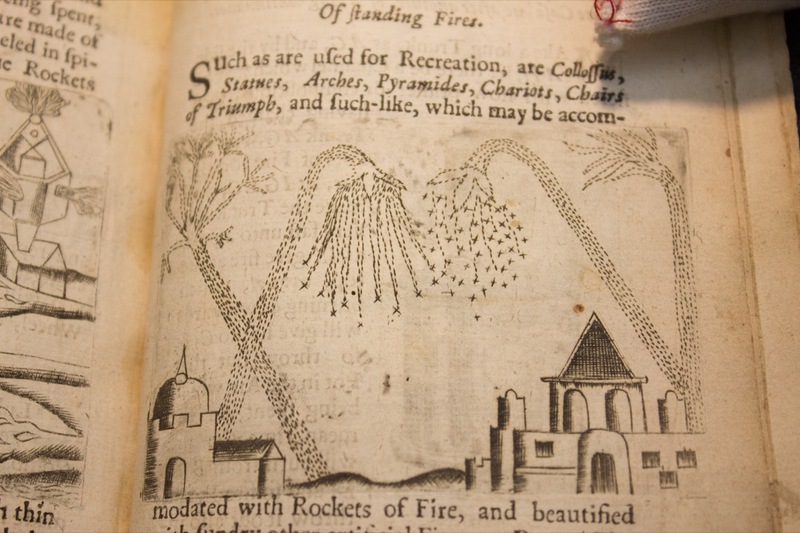 An illustration of how to concoct “standing fires.” Photo by Daniel Peterschmidt, courtesy of the NYPL Rare Book Division. 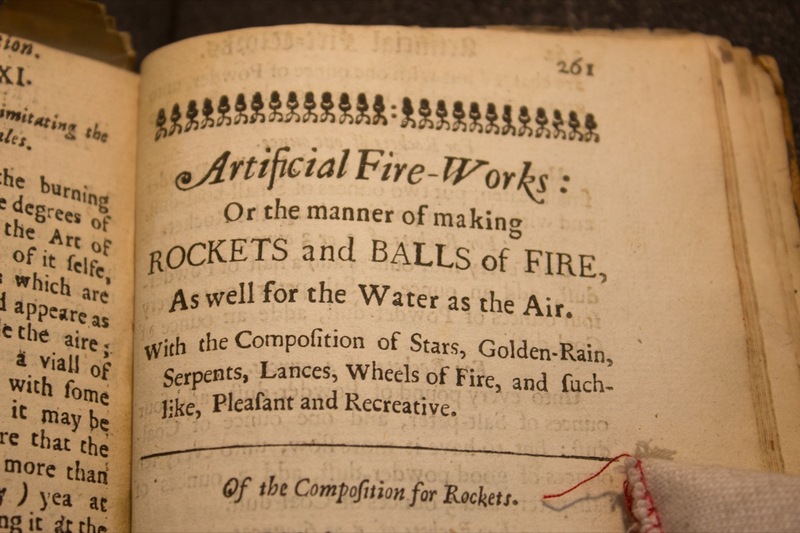 Instructions on how to make rockets. Photo by Daniel Peterschmidt, courtesy of the NYPL Rare Book Division. 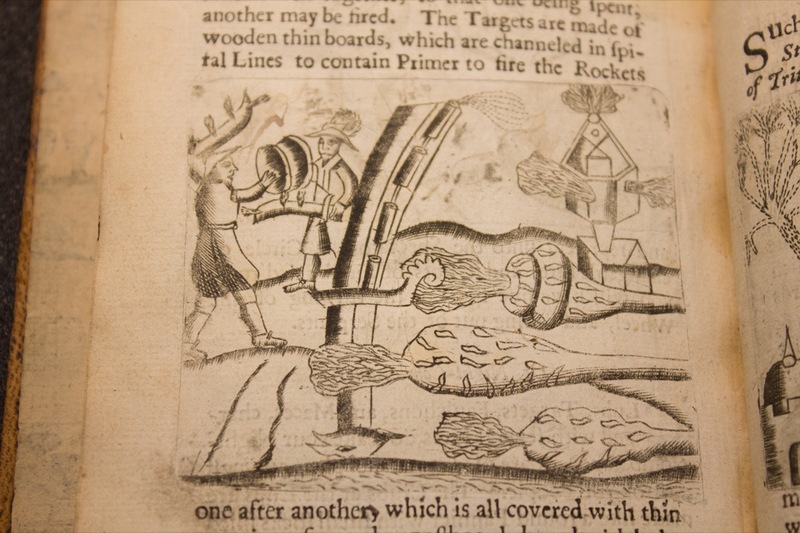 The accompanying text reads: “Clubbes, Targets, Faulchons, and Maces charged with severall fires, do make your night-Combatants, or are used to make place amongst a throng of people.” Photo by Daniel Peterschmidt, courtesy of the NYPL Rare Book Division. 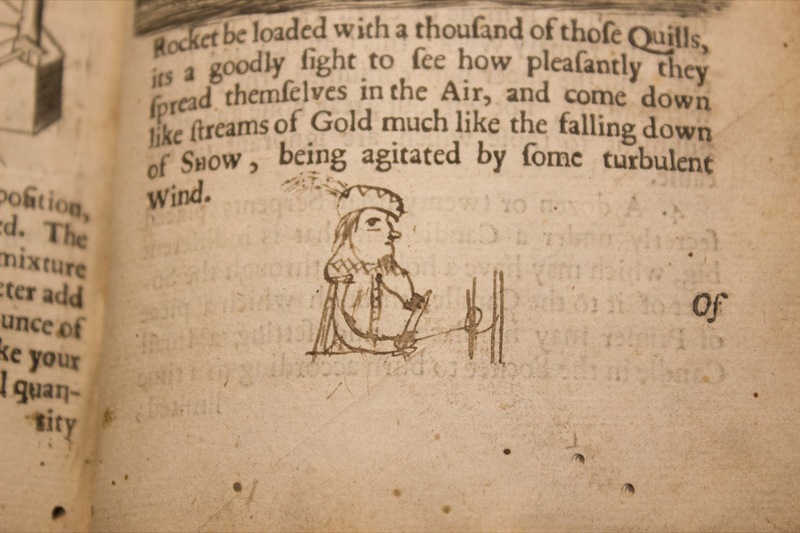 It seems people have been illicitly drawing in books for centuries. Photo by Daniel Peterschmidt, courtesy of the NYPL Rare Book Division. “Celsius, Anders.” Complete Dictionary of Scientific Biography, 2008. Online, via Encyclopedia.com. “Celsius, Anders.” UXL Encyclopedia of World Biography, 2003. Online, via Encyclopedia.com. Estes, J.W. 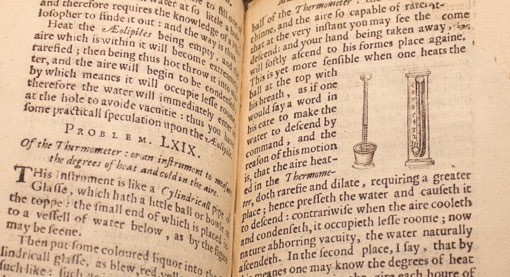 “Quantitative observations on fever and its treatment before the advent of short clinical thermometers.” Medical History. 35 (1991):189-216. Gillispie, Charles C., editor-in-chief. Dictionary of Scientific Biography. 16 vols. New York: Charles Scribner’s Sons, 1970–1980. Leurechon, Jean and William Oughtred. Mathematicall Recreations. London: Printed for W. Leake, 1653. Online, via Internet Archive. “Linnaeus’ thermometer.” Online Linné. Uppsala Universitet, 2008. Simpson, John, editor-in-chief. Oxford English Dictionary. Third Edition. Oxford: Oxford University Press, 2010. Osler, William. The Principles and Practice of Medicine. New York, NY: D. Appleton, 1892. Osler, William. “The Study of the Fevers in the South.” JAMA. 26 (1896):999-1004. Petkovic, Miodrag S. Famous Puzzles of Great Mathematicians. Providence, Rhode Island: American Mathematical Society, 2009. Sigerist, Henry. The Great Doctors. New York: Dover Publications, 1971.